Take this quiz to find out what kind of family you have. Answer some questions about your family background, and we'll try to guess what type of family you grew up with. 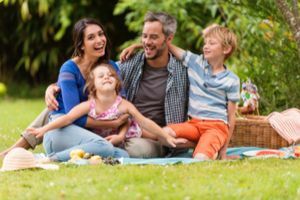 In this quiz, you will see some questions asking you about your family background and characteristics. Answer the questions as accurately as possible to see what our prediction is for what kind of family you have. Have you ever wondered what kind of family you have? Have you ever wondered if someone could tell based off of a few questions? Here's your chance to find out. Take a few minutes to answers some easy questions about your family, and we'll tell you what we think your family is like.